When you arrive into Darwin you can sense the cosmopolitan and thriving atmosphere of this historic tropical North Australian city. You will be personally met at the airport by a DISCOVER AUSTRALIA representative and transferred from the airport to your hotel. You can relax and use the rest of the day to explore your hotel and its facilities, perhaps take a stroll around the neighbourhood and central Darwin. 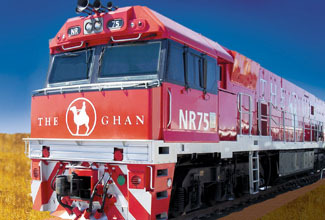 This morning you will be personally met at the your hotel by a DISCOVER AUSTRALIA representative and transferred to the Ghan railway station to begin your journey to Adelaide. Embark upon one of the world’s great train journeys on the Ghan through the ochre red centre of Australia. Watch as you travel from the lush tropical Northern Territory, through the endless vistas of the “Red Centre” to the rolling landscapes of South Australia. Enjoy a cruise along Katherine Gorge and a range of included touring options in Alice Springs while you experience the opulence of luxury train travel. See below for full details on your Ghan journey. Note: passengers embarking in Alice Springs join on Day 5. As you arrive into Adelaide you can feel the history and culture of 'The City of Churches' You will be transferred from the Ghan railway station on arrival in Adelaide to the Murray bridge to board the Proud Mary for your 3 day gourmet Murray River cruise. After boarding the Proud Mary, settle into your comfortable river view cabin enjoy a delicious supper and meet the crew, introduced by the Captain. Meet and Greet Personalised Rail Transfer, 2 Nights Gold Service Cabin on the Ghan (1 Night ex Darwin), 2 Breakfasts, 3 Lunches, 2 Dinners, Luxury Alice Springs Coach Tour, Luxury Katherine Gorge Tour (Darwin to Adelaide customers only), Meet and Greet Personalised Rail Transfer, Adelaide to Proud Mary Transfer, Overnight Accommodation onboard the Proud Mary. Arrive in Mannum and board the waiting coach for your tour to Reedy Creek Environmental Park. Enjoy a guided tour with the onboard ecologist and learn about the special landscape and its effect on the surrounding countryside . Breakfast, Reedy Creek Environmental Park Guided Tour, Lunch,Proud Mary to Adelaide Transfer, Overnight Adelaide Accommodation. 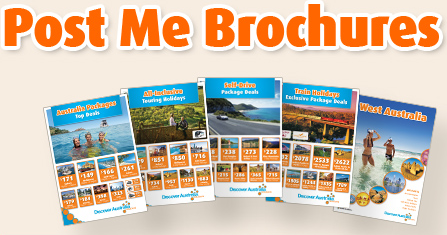 You will be personally met by a DISCOVER AUSTRALIA representative and transferred from Darwin airport to the your hotel, from your hotel to the Ghan railway station, from the Ghan railway station on arrival in Adelaide to central Adelaide to meet your cruise transfer and from your hotel to the airport to meet your flight home. 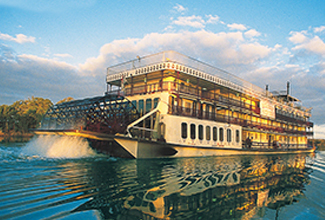 The Ghan & Proud Mary 3 Day Gourmet Murray River Cruise with Adelaide Stay is very popular. Many dates book out well in advance, please book soon.